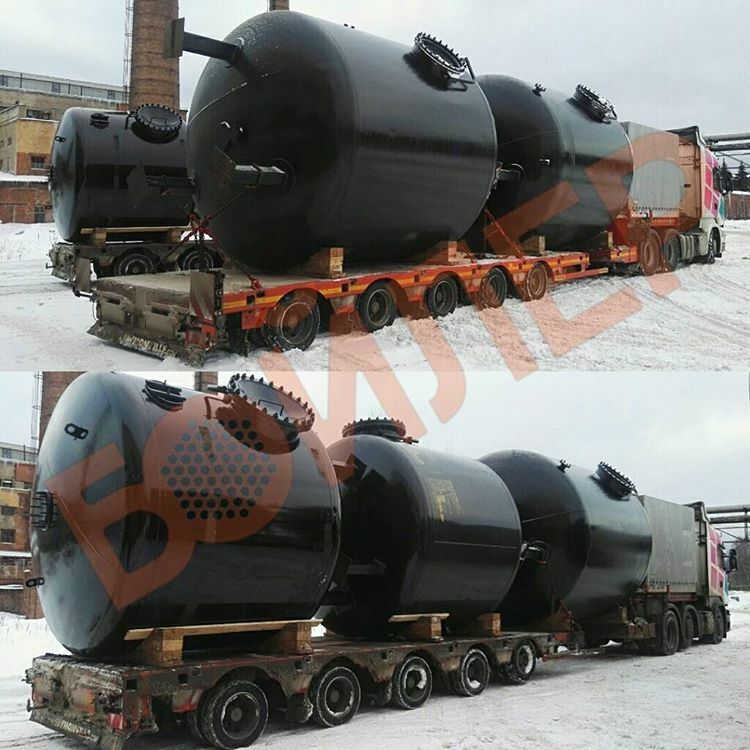 Since 1995, Boiler has been developing in the field of improving and modernizing heat exchangers. We believe that heat exchangers must meet a number of requirements, compliance with which will allow heat exchange equipment to be efficient and highly efficien. In 1996, under the leadership of the director Alexander Nikitovich Yakimenko, we developed and launched a series of tube-and-tube heat exchangers with a U-tube. 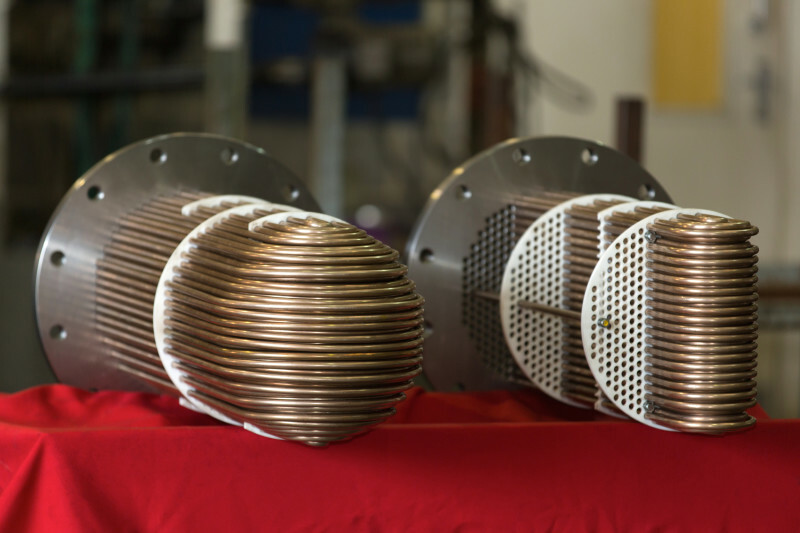 This breakthrough in the field of highly efficient heat exchangers confirms the foresight of management and is the main vector of the company's development to this day. Since 1997, scientific cooperation with the NPO CKTI Polzunova in the field of improving the serially produced heat exchangers. For example, in 1999, advanced heaters for network water such as PSVE were developed. The main difference from the serial devices is the possibility of cleaning the tube part of the heat exchanger without removing it from the housing, as well as using a "denser" pipe system with a length of 3000 mm. (Instead of serial, with a tube length of 3400 mm.). In 1999, advanced atmospheric and vacuum evaporator coolers were developed. They are based on "densely packed" tube bundles from the U-shaped tube, due to which we have achieved a reduction in the dimensions of the apparatus by a factor of 1.7, with a simultaneous increase in the heating surface and an improvement in the heat transfer coefficient. Also, ultra-small OVA-1M vapor coolers for atmospheric deaerators with a deaerated water capacity of up to 5 t/h were developed. In the 2000s, we started developing applications for shell and tube heat exchangers with an integrated condensate cooler. These devices do not have the inherent characteristics of serial steam-water devices PP. We have perfected the pipe system, which resulted in a one-way transverse movement of the steam through the bundle, as well as a dedicated cooling zone of the steam-air mixture. The presence of a cooling zone for the condensate of the heating steam makes it possible to avoid the use of external condensate coolers (!) (Usually 2 water-water heat exchangers of the PV type), which considerably reduces the occupied space in the boiler room. Since 2010, we have started to use our heat exchangers with U-shaped tubes not only in the housing and communal services sector, but also in specialized specialized plants working with such environments as: vegetable oils, synthetic and thermal oils, steam mixtures, glycols, freon etc. Heat exchangers Are made in special material designs, with the use of welding in argon. Completely new equipment .. Very soon! Since 2015, we have been developing in the field of flue gas utilization, as well as the development of fundamentally new heat exchangers for utilities, which will directly compete with plate heat exchangers. The main developments will be demonstrated at HEAT & POWER 2018 from 23 to 25 October 2018, which will be held at Crocus Expo IEC.